You visit the dentist at least once a year, but does your pet? Regular dental care visits - including dental examinations and cleanings - are an important part of your pet's health. 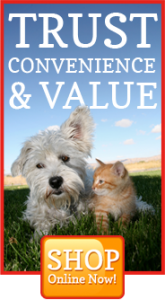 Holliday Pet Hospital believes your pet deserves state-of-the-art dental care. We perform comprehensive dental cleanings and dental and oral surgeries for your pet. 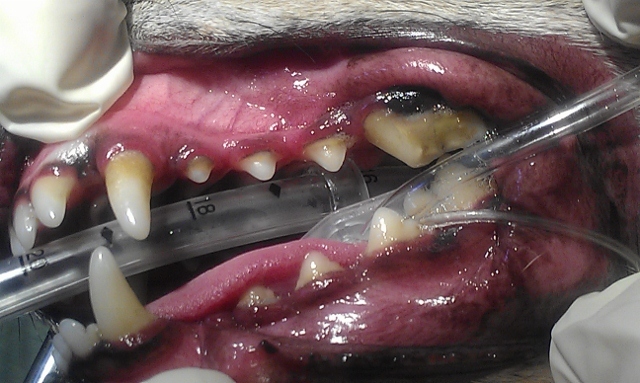 Pet Dental Care Is Important! 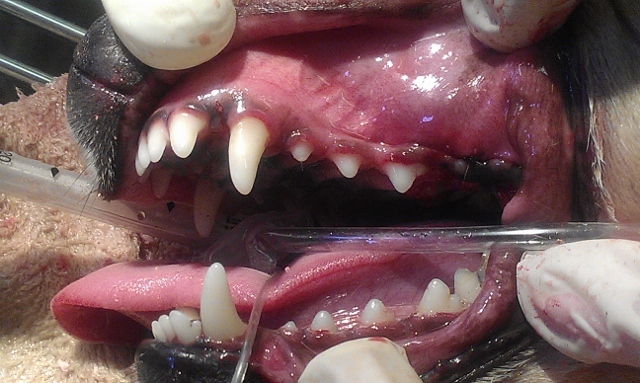 Plaque and tartar build-up on your pet's teeth can lead to gingivitis. Reddened, bleeding gums, difficulty chewing and bad breath are all signs of gingivitis. Gingivitis can cause periodontal disease, a bacterial infection that, if left untreated, can cause tooth loss. Additionally, bacteria can enter the bloodstream and spread to your pet's kidneys, heart and other organs. Regular dental cleanings remove plaque and tartar and prevents gingivitis and periodontal disease. Your pet's dental cleaning is far different than the same procedure you undergo each year at your dentist's office. Because anesthesia is required to keep your pet safe and still during the cleaning, we perform a thorough physical exam and a series of blood tests to ensure that your pet is healthy enough for this procedure. 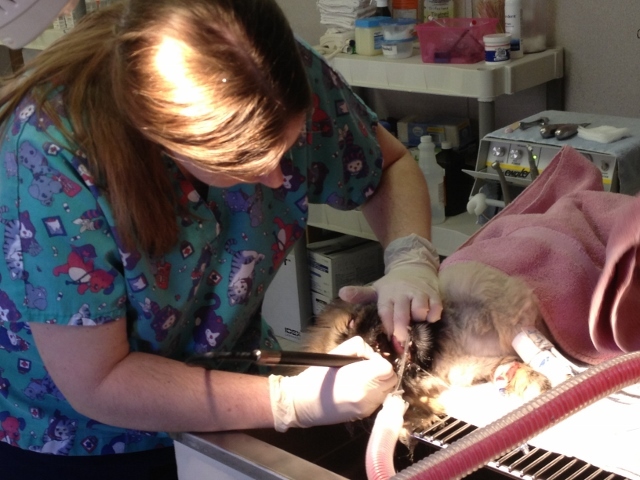 These tests also help us develop an anesthetic protocol that is specific for your pet. Once anesthesia is administered, the cleaning begins. We use modern and safe ultrasonic equipment to clean each tooth thoroughly, both above and below the gum line. Our specially trained dental technicians polish you pet's teeth, which creates a smooth, lustrous surface that is more resistant to plaque build-up. Finally, a fluoride treatment is used to help strengthen the enamel and reduce tooth sensitivity. The Holliday Pet Hospital staff can show you how to brush your pet's teeth at home. This is an excellent way to prevent plaque and tartar build-up, promote good oral hygiene and, most of all, bond with your pet.